Looking for a quick, easy addition to your holiday cookie tray? 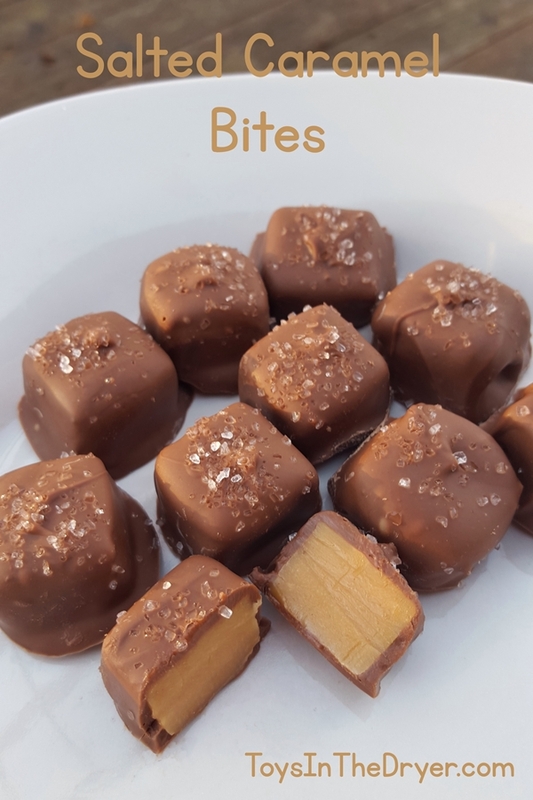 Check out these salted caramel bites. The hardest part is removing wrappers! 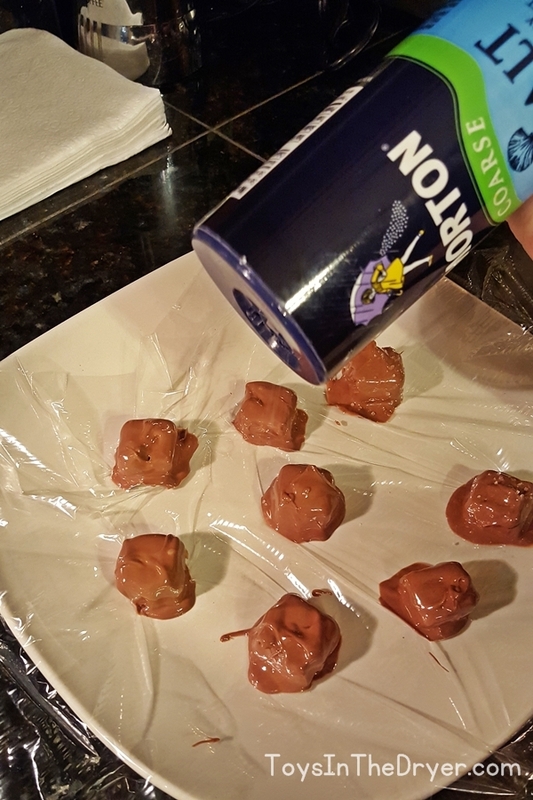 1) Start by unwrapping all of the caramels then set them aside. This takes the longest time and is the hardest part of the entire recipe. 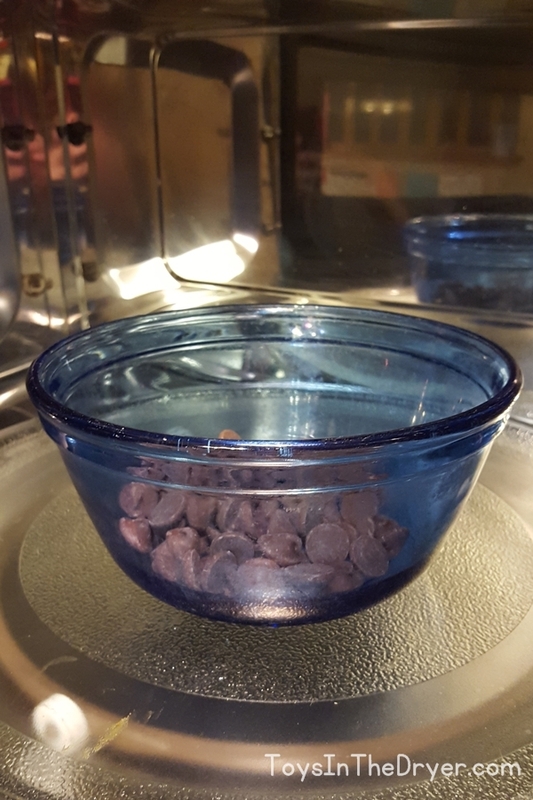 2) Melt the chocolate in the microwave making sure not to burn it. For best results, microwave for short intervals and stir in between. 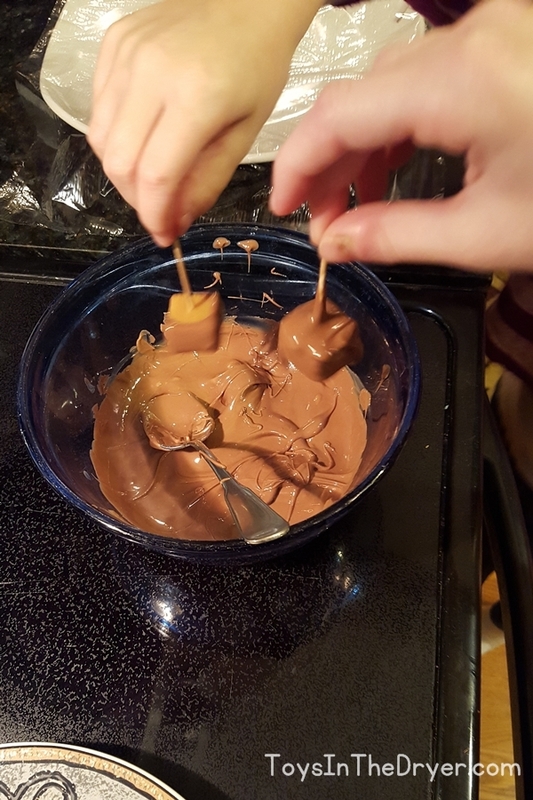 We used fancier, more expensive, brand name chocolate chips to make our salted caramel bites taste better. 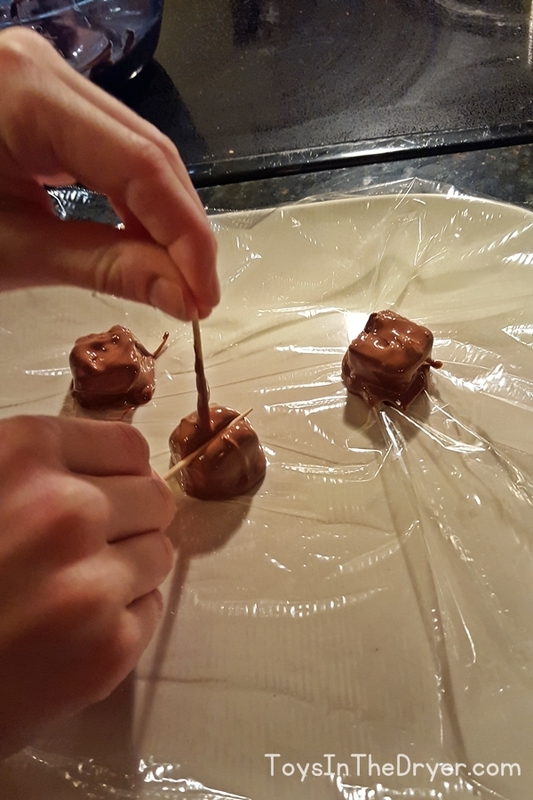 3) Lightly push a toothpick into a caramel and use it to dip the caramel into the melted chocolate. Cover the caramel completely. Hint: Do not push the toothpick too deeply into the caramel or you won’t be able to get it out. 4) Use another toothpick to help remove the first toothpick. Then cover the hole with chocolate. 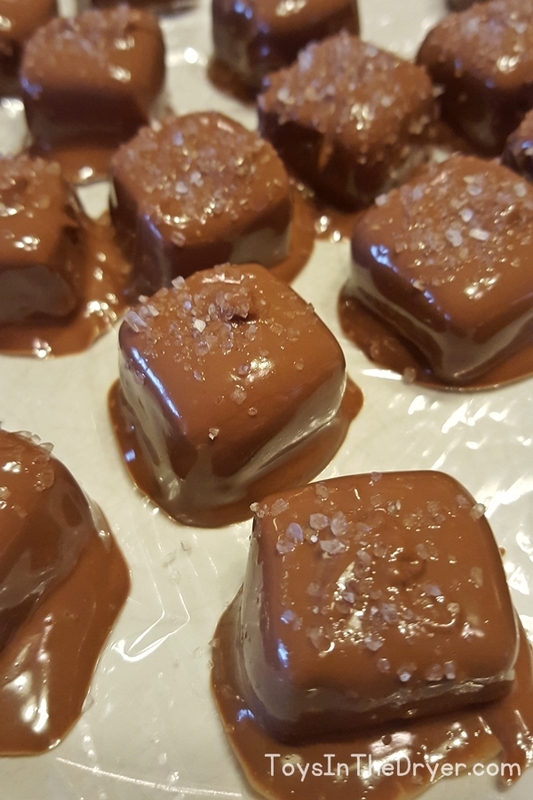 5) Once all caramels are covered with chocolate, sprinkle them with sea salt. Don’t be stingy on the salt! 6) Allow chocolate to harden. You can put them in the fridge to speed up the process but make sure to bring them back to room temp before eating or they will be super hard to chew! These easy salted caramel bites make a great addition to any holiday party and are perfect to make last minute!